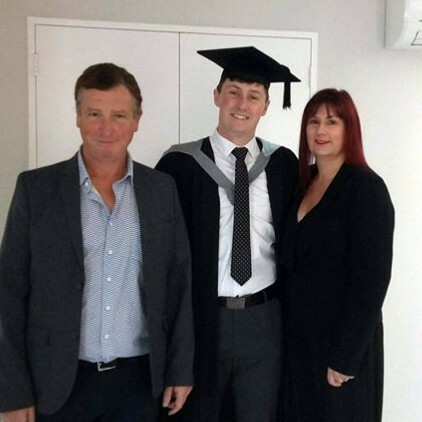 Keeping in touch with the Kilcullen Wild Geese with this one, it's Sean and Audrey McMahon and their son Max who has just graduated as a lawyer from the University of Canterbury in New Zealand, writes Brian Byrne. Audrey is originally a Dowling from Kilcullen, and her sister Sinead Conroy tipped off the Diary about Max's achievement. They have been living in New Zealand for the last ten years, but friends here are looking forward to seeing them in July when they come home for a holiday.